Ginza, historically the main commercial center of Tokyo is built on the site of a former silver mint from which it takes its name. 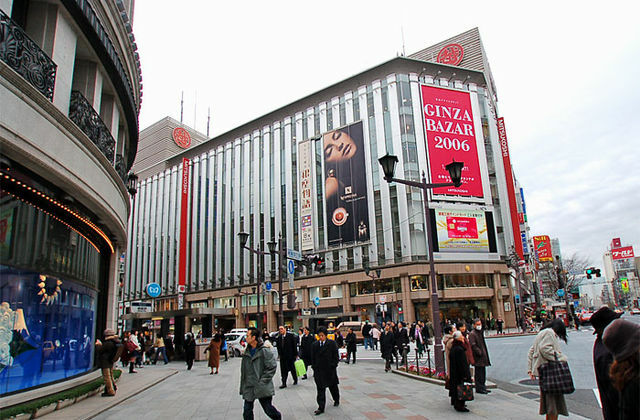 Ginza is the original city center, as opposed to the newer secondary centers, such as Shibuya and Shinjuku. 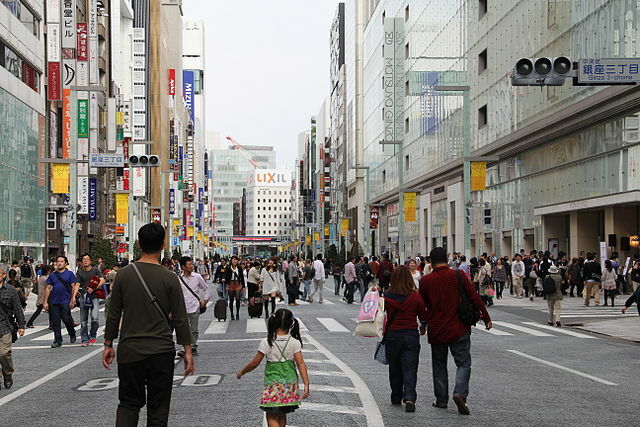 It is known as an upscale area of Tokyo with numerous department stores, boutiques, restaurants and coffeehouses which most are open every day of the week. Ginza shopping is centered on a 1 km stretch of Chuo-dori "Central Avenue", three streets running parallel west of Chuo-dori, and numerous elegant tree-lined little streets that connect them. 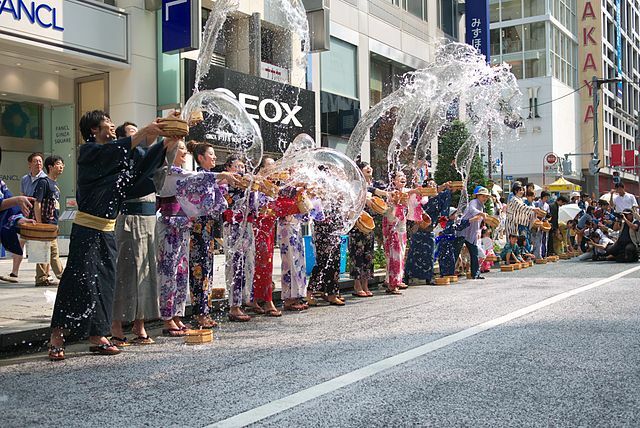 A visit to Ginza is most pleasant when on Saturdays, Sundays and public holidays from noon until 17:00 (until 18:00 from April through September), the main street through Ginza is closed off to road traffic, allowing people to walk freely. ​A stroll down the street can be a great way to spend a peaceful afternoon. The heart of Ginza is the intersection of Chuo-dori and Harumi-dori, dominated by the glass cylinder of San-ai Building. 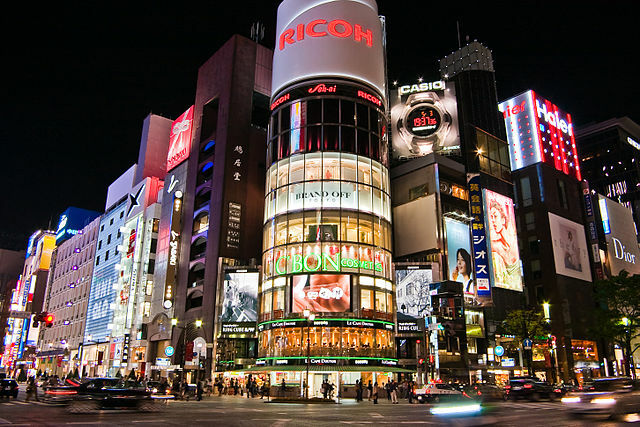 With its huge neon sign, it's been the image of Ginza on postcards and travel books for decades now. The other corners are occupied by Wako and Mitsukoshi, two of the most prestigious department stores. 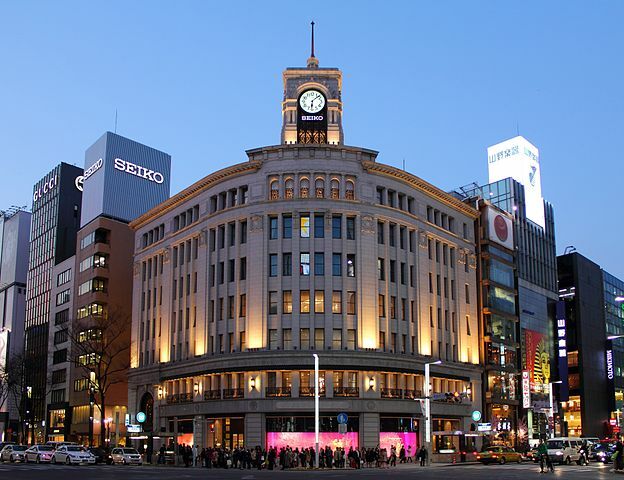 The Ginza's 4-Chome intersection is overlooked by the iconic old Wako building with its clock tower on the north side. Wako is a department store retailer whose best known store the Ginza Wako, is at the core of the Ginza shopping district. This store is famous for its watches, jewelry, chocolate, porcelain, dishware, and handbags, as well as upscale foreign goods. Wako has branches in Haneda Airport, Osaka, Sapporo and some luxury hotels in Japan. Mitsukoshi is an international department store chain and its history reaches back to the year 1673. Mitsukoshi Ginza has women’s wear and jewelry on the first five floors and men’s wear on the six and seven. On top floors, there are shops for babies and kids, arts and some restaurants. The 4 underground floors are offering foodstuff including Japanese confectionery, seafood, meat and variety of drinks. 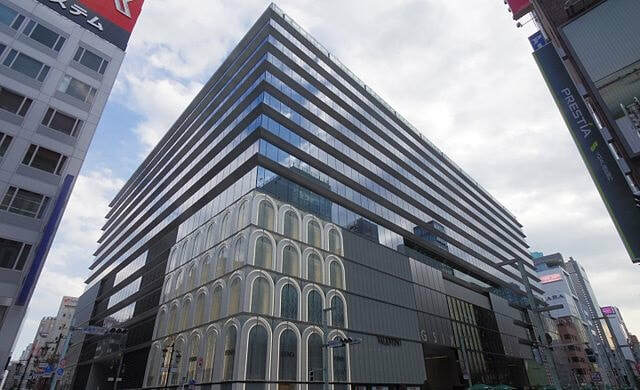 ​Opened in April 2017, Ginza Six is a massive 14 story shopping complex home to over 240 stores. Besides many floors of cosmetics and fashion, the complex offers 24 restaurants and cafes, a banquet hall, a 480-seater Noh Theater and a pleasant 4,000 square-meter rooftop garden. A terminal for tourist buses, a tourist information center, currency exchanges and duty exemption services cater to tourists. 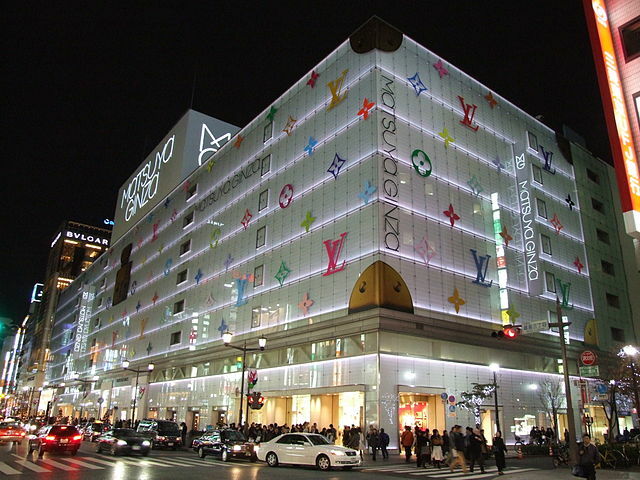 The Ginza branch of the Matsuya department store chain offers fashion, luxury brands and traditional Japanese souvenir. Its 7 above-ground floors are devoted mainly to clothing, mostly for women, while on the B2 floor sell fresh food. For foreign shoppers there is a tax refund counter and overseas shipping service on the B1 floor. There are restaurants on eighth floor. Matsuya has a branch in Asakusa. The newly renovated Kabuki theater, Kabuki-za was the principal theater in Tokyo for the traditional kabuki since 1889. 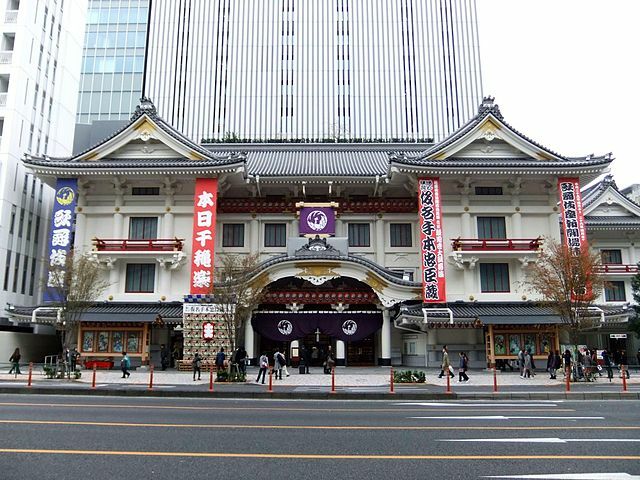 ​It still is one of the best places to see Kabuki where the performances are nearly every day, and tickets are sold for individual acts as well as for each play in its entirety. While the theatre itself still looks much the same as before, it now has a 29-floor office block looming over it. The tower has many restaurants and a rooftop garden terrace. You can get a taste of Kabuki with a one-session ticket (usually a complete show goes on for the whole day! ), available at the street level box office. Even if you don’t attend a kabuki theatre show, the building is worth a look. 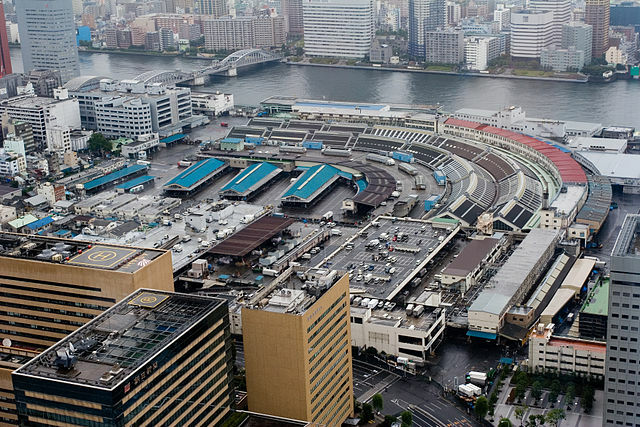 For many visitors to Tokyo, the Central Wholesale Market, better known as the Tsukiji Fish Market is synonymous with sushi, sashimi and seafood products of every kind. 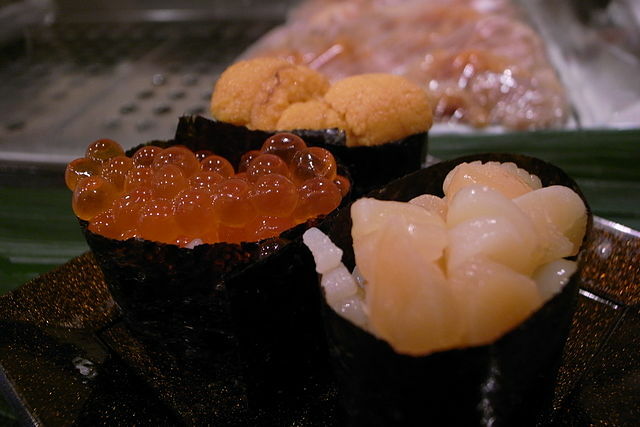 Tsukiji is the largest fish market in the world handling more than 2000 tons of seafood daily. While the inner market in the early hours of the day has restricted access and is very much a working facility catering to wholesalers, the many small neighborhood restaurants, restaurant supply stores and retail operations in the outer market still act as a major culinary tourist destination, where visitors can have different types of seafood, raw as well as cooked. The inner market of Tsukiji Market closed on October 6, 2018 and moved to a new site in Toyosu "a man-made Island close to Odaiba", where it reopened as Toyosu Market on October 11. Tsukiji's outer market will remain in business beyond October 2018. If you plan to visit, keep in mind most of the shops in the outer market close by the early afternoon and in the inner market even earlier. As you might expect everything is covered in slippery sea water, so choose footwear accordingly. Ginza - In the heart of the area is Ginza Station, connected to the Marunouchi "﻿M16﻿', Ginza "G09", and Hibiya "H08" Subway Lines. 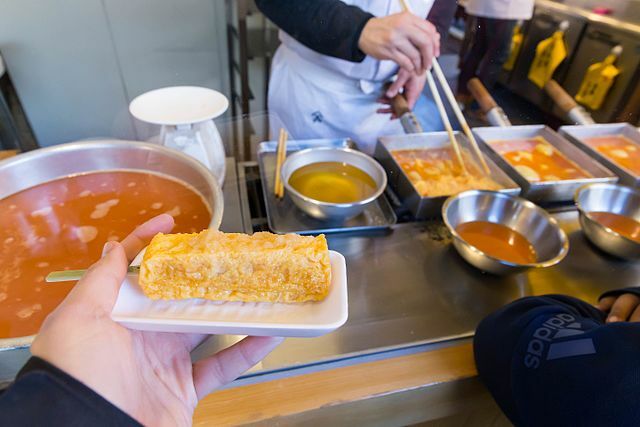 Tsukiji Market - ​Hibiya line Tsukiji station is a short walk away, while O-Edo line Tsukiji Shijo Station drops you right next to the action.